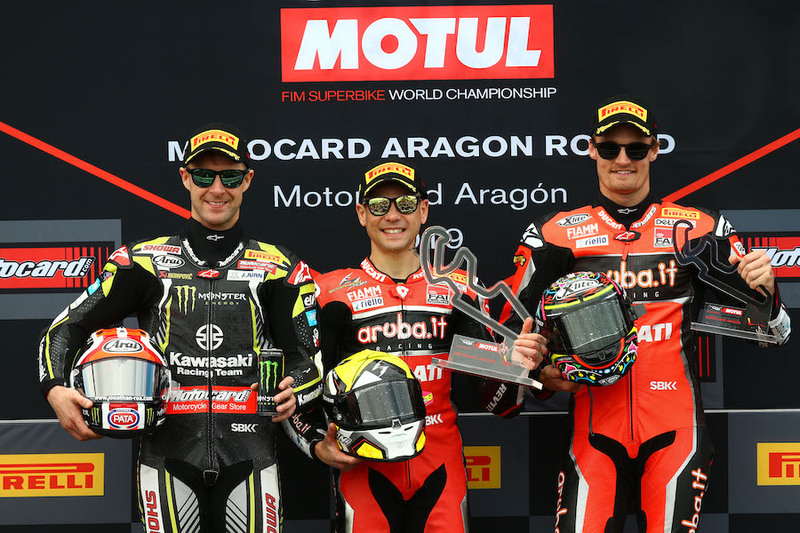 With a Superpole qualifying ‘win’ and an 18-lap race win to follow, Alvaro Bautista (Aruba.it Racing – Ducati) was feasting early in front of his adoring fans, on the first day that delivered points at the superb 5.077km long circuit in the hills of Aragon. 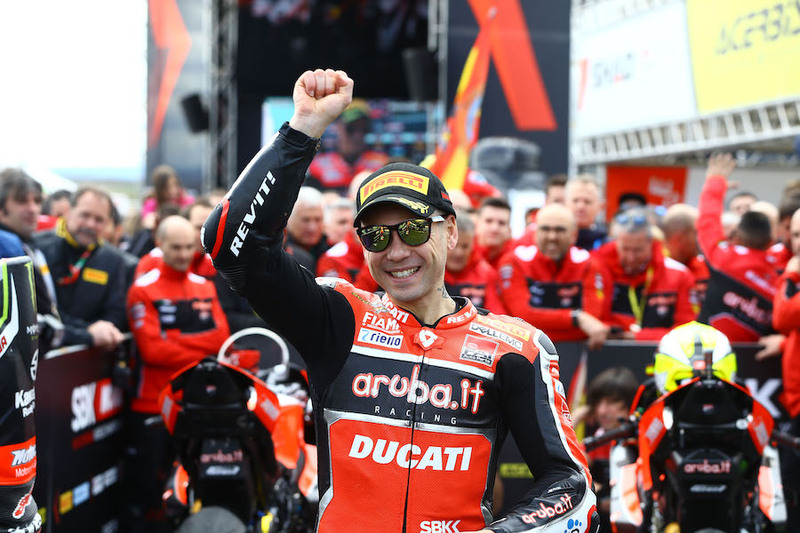 Carlos Checa, a definite Spanish WorldSBK Champion, gave his heir apparent his Superpole trophy, before Bautista took advantage of his starting position to finish over 15 seconds ahead, demonstrating again what is becoming a regular winning habit in WorldSBK. The race right out front was a new kind of boring, but the race for podiums was like a saloon fight in full evening dress. 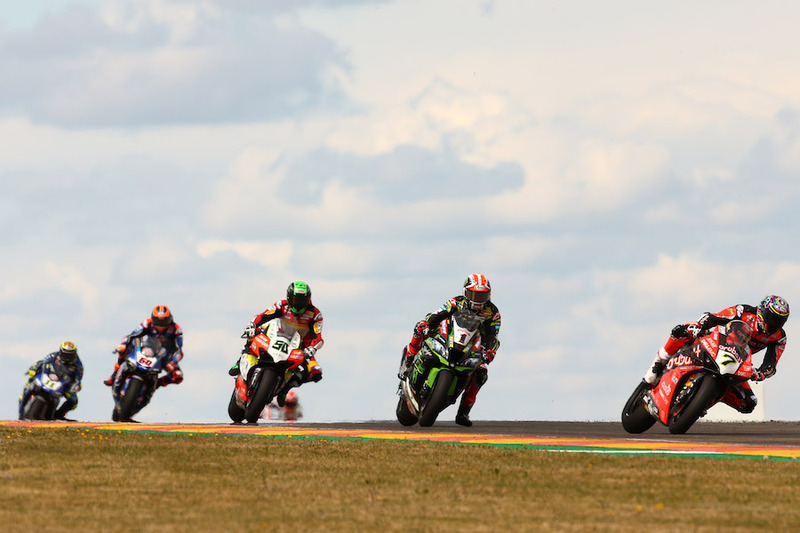 Factory riders elbowed and threw shapes at each other all race long, with even 2018’s dominant rider Jonathan Rea (Kawasaki Racing Team) unable to set his own unmatched pace as the laps counted down. 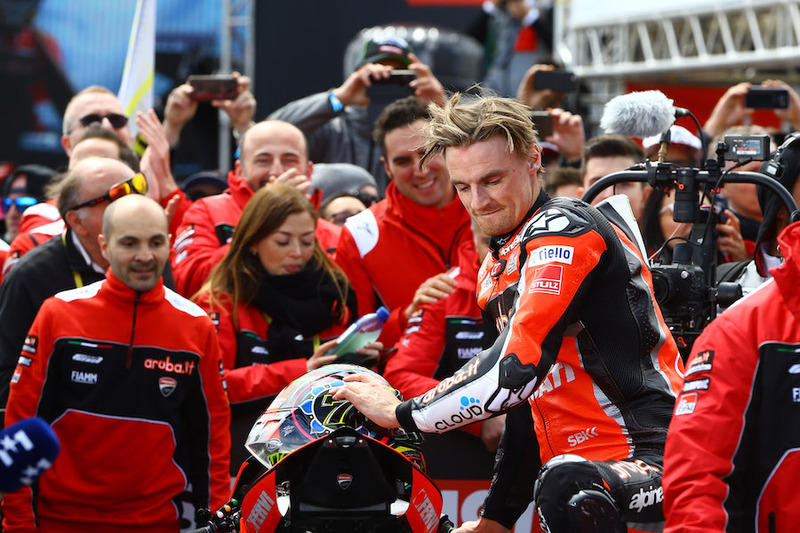 He had to put in a special last lap to make sure that a resurgent Chaz Davies (Aruba.it Racing – Ducati) would be third and Rea second – for the seventh time in succession in 2019. Eugene Laverty (Team GoEleven Ducati) had a fourth place finish – at least – nailed on until he fell in the middle the final chicane, when he ran wide and lost grip as he tried to recover. He got going again for 15th and last place. The combative Alex Lowes (Pata Yamaha WorldSBK Team) was another podium possible until he dropped back with a handful of laps to go, while a strong starting and strong finishing Tom Sykes (BMW Motorrad WorldSBK Team) saw himself into a final fifth place despite being passed by almost all his rivals down the straight at some stage or other. Michael van der Mark (Pata Yamaha WorldSBK Team) was just ahead of front row man Sandro Cortese (GRT Yamaha), taking sixth place. Eighth went to Toprak Razgatlioglu (Turkish Puccetti Racing), with Leon Haslam (Kawasaki Racing Team) having a tough race and finishing ninth, from a 12th place grid start. Jordi Torres (Team Pedercini Racing Kawasaki) completed the top ten, with Leon Camier (Moriwaki-Althea Honda Racing Team) 11th and Marco Melandri (GRT Yamaha) 12th. 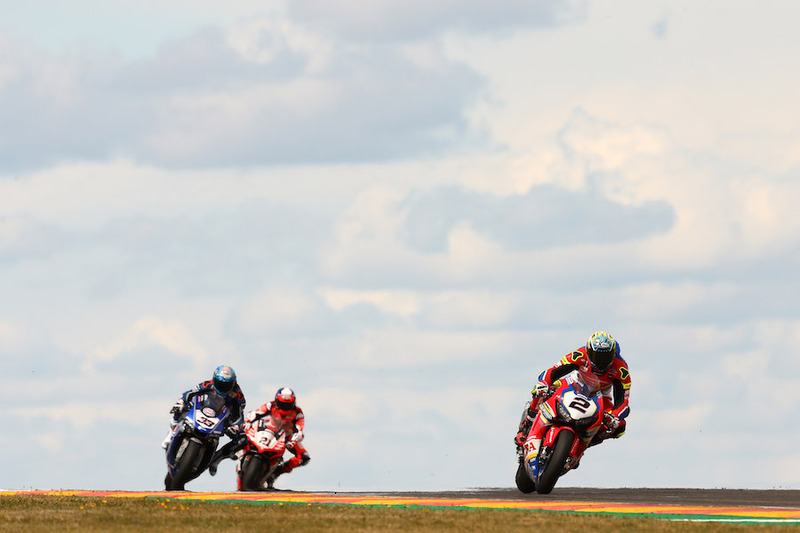 Markus Reiterberger (BMW Motorrad WorldSBK Team) did not score after a startline clash with Jonathan Rea, which led to a fall for the German rider. Bautista is now 31 points ahead of Rea, with two more races to go in Spain on Sunday.